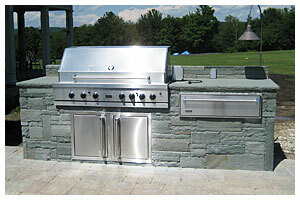 Stonewall Hardscapes creates the scenery for your memories. We build inviting and useful spaces that will literally last a lifetime, whether an entrance or entire backyard. Stonewall Hardscapes applies modern installation applications to ancient traditions of stone masonry, creating projects that withstand time and the elements. We design with your specific uses, preferences and on-site conditions in mind. From concept to completion we work with the homeowner to create the specific characteristics you desire. Installations includes walkways, patios, driveways, walls, steps and stairs, thin or full veneer, fireplaces, BBQ’s and much more. Further, Stonewall Hardscapes is the one-stop choice for your whole living area, including amenities such as speakers and audio, fireplaces and barbecues, accent lighting and design, landscape planting, water-features, pool-surrounds, spas, fencing, and any other necessary accessories. We approach each project holistically, keeping future additions in mind and adequately planning for your home’s growth. All of our projects are addressed with the foundation in mind, first and foremost. We will analyze your soil type, existing grade, and other important factors on the property and address each trait as needed. The strength of frozen moisture can move mountains. We make sure it won’t move your new project. Owner Joshua Goldstein has over 15 years experience in landscape masonry applications in and around homes, businesses and towns or cities. Our company started in the Albany, NY region and we have subsequently completed projects throughout the Capital District, Adirondack regions, greater-Burlington area, and throughout Vermont. This broad base of experience has prepared us for all types of applications, residential or commercial. We believe knowledge equals power, so are constantly seeking continuing education, certifications, and professional development to increase our skill sets. A passion for the outdoors, property enhancements and hard work brought the company to fruition and continues to fuel the fire. 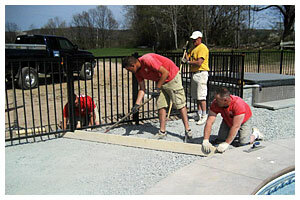 At Stonewall Hardscapes we believe that our image is who we are. To that end, we strive for clean and efficient work sites, crisp looking vehicles, machinery and craftsmen and, of course, handsome projects. We understand that dealing with the trades can be a cumbersome, frustrating experience when the wrong contractor is chosen and thus we commit to starting and finishing on time, keeping open lines of communication and always acting with courtesy. Roots that grow underground are as big as the trees that you see. If not, they would fall down.